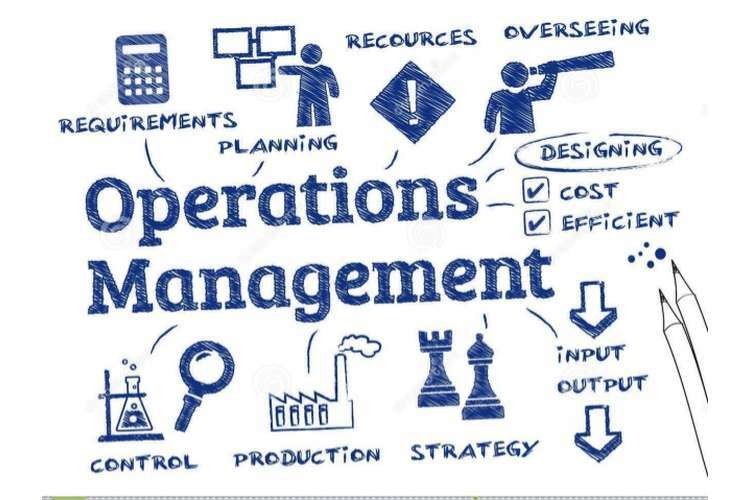 Operation management focuses on keen managing of production processes with a perspective of producing goods and services that are competitive in the market, while still keeping its production facilities equipped with the right technology and educated inform human resources power. Producing printers and parts for the major suppliers and individual customers can stretch the facility or under-utilized it. It is therefore of paramount importance to place emphasis quality of material used and ensures that the entire firm understands its role from the top level to the last person in the production chain. (Goldratt,1997) speaks to the main elements of the overall design in manufacturing but many of the details had to be worked on in practice, as in the case of running multi-projects. Forecasting in operation management is the process of using data to generate a prediction of the market behavior, what are the factors that have led to increasing demands, what is the most likely item to be ordered more, what will be the list item to sell. By looking at the past processes that were implemented in production the kind of input that is used and how it correlates to the output that is achieved. According to Goldratt & Cox (2014), a measure not clearly defined is worse than useless, factors that lead to missing out projected production targets, bottlenecks, human errors and use of new technologies have to be co-opted to be ahead in the printer and copier component production. M and L manufacturing company give attention to its markets demands in the right time while still having space to deal with the individual customer parts demanded from the single customer, this is achievable by aligning the production with the different demands needs of the manufactures and individual customers seeking printer and copier components. Formulation of a model the is sensitive and objective towards multi-scale interaction, emergent phenomena, corresponding data when producing larger units and few units that utilize a good number of autonomous bodies Bozarth and Handfield (2006). The marketing management will decide on the kind of resources to use while focusing on meeting the production costs of the manufacturers. This costs will include the raw material, human resources, and output targets. Projection in different weeks varying and having a spike in week seven need for forecast will be used to explain the difference in demands and how the company production has met them. Quantitative methods, unlike Qualitative forecasting, is less affected by a human-based decision, it is scientific and mathematical based in that data is provided and computation left to be made by the formulas or data provided. It does not include human aspects like political turmoil in regions where manufacturers have production plants, civil strikes from workers and the economic stability of the given market. It does not incorporate past trends which are mostly used in the quantitative method of projection. Qualitative forecasting includes Naïve, Mowing average, Exponential smoothing, and Trend projection. There are mostly human based and does use any standardize formulae. Experts look at them as bias and tend to reduce the accuracy of the forecast. Qualitative stability cannot be standardized. On the other hand, Quantitative forecasting methods are formularized in that, massive junk of data can be collected and computed for a consistent and more objective oriented forecast. Though quantitative data are not available, there are only as reliable as the data which they were extracted. According to Siegel & Davenport (2013) and Herroelen and Leus (2001) experimenting on conducted computational and argues that the buffer sizing can be advanced for the better when forecasting. For a faster or agent need for forecasting, quantitative method is suitable compared to quantitative methods; the firm executive can have easily incorporated the latest changes in the environment and use other information like when a manufacturer in shutting down. This forecasting can help in reducing losses that could have occurred as a result of producing printers and copiers components that could be sold to the shutting firms. Quantitative forecasting methods would fail to get inside information like a manufacturer shutting down. Perhaps a more accurate forecast would be attained using qualitative but would not be reliable because the environmental changes are not incorporated. Unlike Quantitative methods which are mostly used for short-term and urgent forecasting, the Quantitative method is accurate, consistent and objective when the environment is predictable and can be used to make a long-term decision. When manufacturers are in the region that enjoys economic growth and stability, more consumers will be able to have purchasing power, while the vice versa is the same in territory where there is no business economic growth and regional stability consumers spend less and have no economic activity to put money into their pockets. This forecast means the consumer will not spend and will not be able to have their business of open because on instability this will translate to sales. Forecasting ensures that the firm has it entire structure geared towards meeting its goals. It is often should be reliable and used to paint a clear picture of what the future holds. (Little, (2014),Srinivasan et al., (2007) stated that nine months into of implementing Critical Chain Project Management in 2005 using concerto, the production time was reduced by 80days days from stage one to the last stage. However what is of importance and great value is that it lead to addition to the benefits of lean initiatives. Production planning and control ensure that the management of the firm can know when to increase its workforce and when to downsize it. These provides the management can handle its internal and external challenges and avoid loses and closure of the firm. Variations in different periods of time series data often increase upwards or downwards. According to Hyndman (2014), it is one way of making sure historical data can be used to measure how well the adopted forecasting method is. Familiarity with prior forecast will often lead to making decisions faster. All the company resources are focused on a given expected goal. Manufacturing steps are practice to, to the later; operation management will only achieve greater heights when forecasting. Change being consistency in the today's manufacturing field is of importance to keep a forecast can see the firm through changes both internally and externally, internally include having employees who understand their role and give the best input regarding work input, externally include political stability, economic stability, cultural practices, and education level. In conclusion, operation management cannot realize its goals if it does not profoundly really on forecasting. Forecasting plays a key role in today’s manufacturing market. The accurate the forecast attained the better the performance of the company and vice versa is also true Tetlock & Gardner (2015). When the forecast is less reliable, the company may fall into the great danger of producing without targets and lack of judgment of when to acquire raw material cheaply. Forecasting is an eye-opener in the manufacturing world, and it has changed the way firms run. By incorporating all the needed data and the business environmental manufacturers can gain ground and set themselves to a profitable path. Need to be competitive and costs saving in matching supply and demand might be a difficulty, but the use of forecast and has been able to bring light at the end of the tunnel to many firms. Forecasting in operation management has been able to establish a critical chain that ensures that operation managers make the best decision to adopt which benefit the final consumer and the firm in its manufacturing obligations. Forecasting removes bottlenecks clears the path by mapping out reorganizing and taking the necessary precaution to be carried in the manufacturing field. Forecasting demonstrates that in manufacturing best practices can be adopted and culture change can be used to spearhead the preparedness and proactivity of production in the firm. 2. Goldratt E. M. & Cox. J (2014).The Goal: A Process of Ongoing Improvement . 3. Bozarth, C. C., & Handfield, R. B. 2006. Introduction to operations and supply chain management. Upper Saddle River, NJ: Pearson Prentice Hall. 4. Goldratt, E. M. (1997). Critical chain. Great Barrington, MA: North River Press. 5. Balle, F. & Balle, M. (2005). The Gold Mine: A Novel of Lean Turnaround.Boston: Lean Enterprise Institute. 6. P. Masai, P. Parrend and C. Zanni-Merk (2015), "Towards a formal model of the lean enterprise," Procedia Computer Science, vol. 60, pp. 226-235,. 7. Humble, J., Molesky, J., & O’Reilly, B. (2015). Lean Enterprise. O’Reilly Media Inc.
8. Little, J. (2014). Lean Change Management: Innovative Practices for Managing Organizational Change. Toronto, ON: Happy Melly Express. 10. Morgan, J.M. & Liker, J.K. 2006 . The Toyota product business development system: integrating.